My oldest daughter started second grade today. On the first morning back to school, she woke up early without taking much nudging. She was up and ready to go in nearly record time. She grabbed her backpack and was in the car with half an hour to spare before the bell rang – quite an accomplishment because last year we spent many mornings leaving our house eight minutes before the bell rang despite living a 10-minute drive away. When she got to school, she ran into the crowded courtyard, excited to see all of her friends. I know all of these details because she recounted them to me on FaceTime as she drove to school and because my wonderful husband sent me a dozen photos of her from before they left the house until the teachers led the students into their classrooms after morning assembly. Instead of being there to give her a hug and walk her in, I am in Salt Lake City where 7 Generation Games in participating in a too-good-to-miss accelerator. I’m here because I know the opportunity to take part in this program was huge for our company. Sure, the first day of second grade is not a huge milestone – the way the first day of kindergarten is or high school graduation – but the first day of a new school year isn’t a day that any parent would choose to be out of town. And to my 7-year-old starting second grade is a big deal – and not have me there (and for me, not being there) was tough. There’s a lot of talk about how launching a company is tough when it comes to the demands of building and scaling a business in the professional sense, but it also comes with a lot of other challenges as well – and it involves a lot of sacrifice. It’s not just a 9-to-5 job that you clock in and out of Monday to Friday. It means things like leaving your kids with your spouse for two weeks for work travel. It means taking a salary at a fraction of market rate and paying yourself less than pretty much everyone else in the company. It means putting up your own money when the payroll needs to get covered. It means doing a lot of things that you are in fact overqualified for, but that need to get done to move your company forward. The startup scene is the same way. Lots of people want to build hugely successful businesses. But they don’t want to put in their own money to bootstrap them in the beginning. Or cold call strangers. Or go to North Dakota in the middle of the winter or across Los Angeles in rush-hour traffic to meet with people. Or miss their kids’ first day of second grade. But that’s as essential to a startup’s early success as a good product idea. Of making sacrifices to succeed, my mom always says, “If it was easy, everyone would do it.” It’s not easy, but I am doing it. 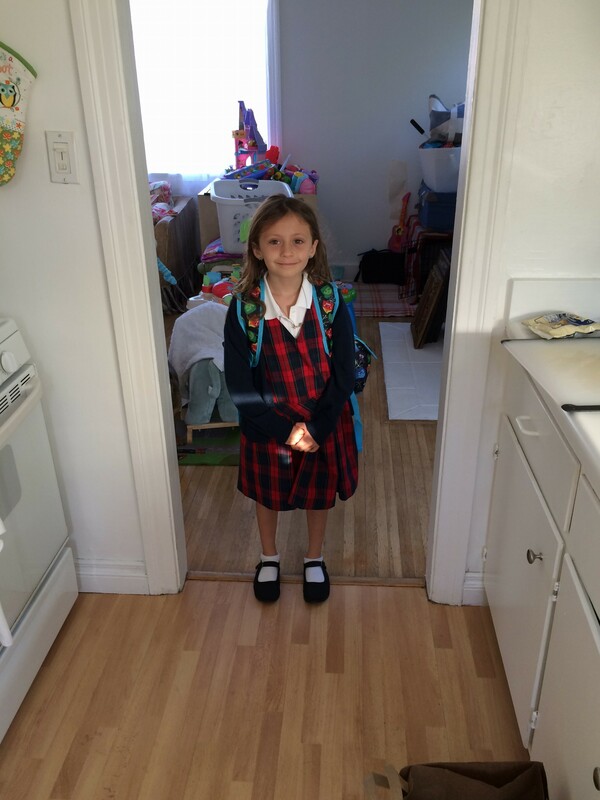 In the end, I don’t expect my absence on her first day of second grade will have lasting impact on my daughter. I do hope, however, that seeing her mom make sacrifices to build a company so that she – in some way, all the kids who use our game – can have a better quality of life does stick with her.